To see olive oil in a dream refers to health and financial issues. To see that you taste or smell the olive oil in your dream may represent that your name will be mentioned well in a crowded environment. To put olive oil into the meal in your dream refers to a lot of money which you will have soon. To drink olive oil in your dream may suggest that you will live with peaceful people and reach your health thanks to these people. To see that the olive oil burns in your dream mean that you will face with obstacles but overcome these barriers in a short term. To dream that you put olive oil on your body denotes that you will have favor from an unexpected person. If you see a person who puts olive oil on his/her body, it suggests that you will help a person about a family issue. To see that you make olive oil or olive oil is made in the factory in your dream symbolizes that a big heritage will come from your family members. To see that you put olive oil into the bottle in your dream may signify that you will have a short trip in order to get rid of your health problems and with the purpose of relaxation. This holiday will be concluded positively. 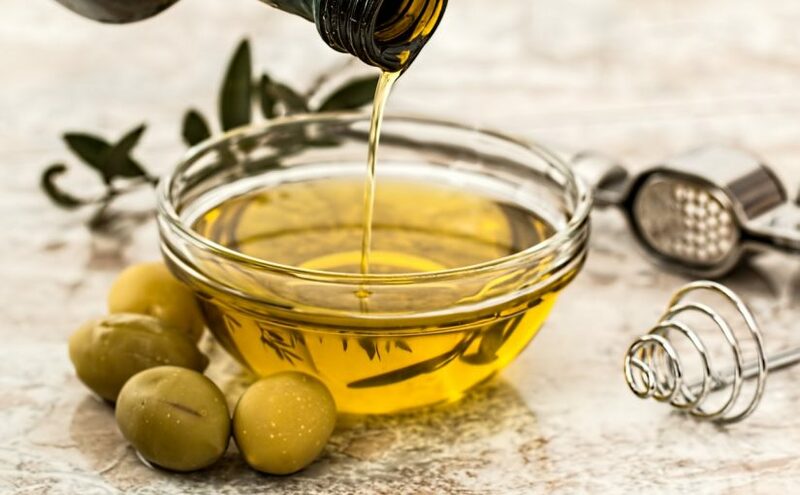 To see of buying olive oil in your dream may represent that you will have a journey with a close person from your family and there will be issues which make you happy and happen during this journey. To see of selling olive oil in your dream means that a good job change will happen as soon as possible. To see olive oil box in your dream symbolizes that you will get rid of your health problems in a short term.